During the last week of September, the Van Andel institute and the Cure Parkinson’s Trust held their annual Parkinson’s research meetings in Grand Rapids, Michigan. The meetings – the Linked Clinical Trials meeting, Grand Challenges in Parkinson’s, and Rallying to the Challenge – provided an opportunity for members of the Parkinson’s community (both researchers and advocates) to come together, share research/knowledge/experience, and discuss what needs to be done. I attended the meetings this year for the first time. In today’s post, I thought I would provide some feedback and share some of my thoughts on the meetings. The history of Amway is an interesting story. One of ambition, determination, and a refusal to give up. 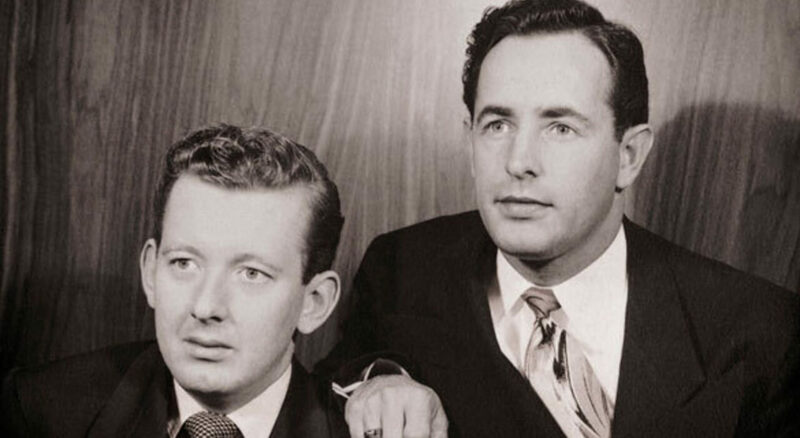 It begins with the two founders – Jay Van Andel and Rich DeVos – trying and failing to get seven different businesses off the ground before they eventually founded the multi-level marketing company that we know of as Amway. One aspect of the story that many people do not know, however, is that for a decade before he passed away in 2004, Jay Van Andel lived with Parkinson’s. In a recent post we discussed the results of the Exenatide clinical trial from last year, and looked at some further analysis of the data, which hinted at the possibility that the drug may be having additional benefits (Click here to read that post). The researchers behind the Exenatide study have now published the results of a second deep dive into the data and found something potentially very interesting and useful: they may have identified certain characteristics of those participants in the study who responded the best to the drug. The researchers are quick to point out that this type of post hoc analysis is only conducted for the purpose of generating hypotheses, but it will be interesting to determine if this is finding is validated in further clinical investigations of Exenatide. In today’s post, we will review the new finding and discuss what they could potentially mean. For most of the Parkinson’s community, Tom Isaacs requires no introduction. In 1996 – at just 27-years of age – the London-based surveyor was diagnosed with Parkinson’s. After dealing with the initial shock of it all, Tom embraced his situation and became a committed, (utterly) tireless activist. He first walked the entire coastline of the UK to raise money and awareness for Parkinson’s. His book, “Shake well before use“, discusses that trip and adapting to life with Parkinson’s. It is a fantastic read. And upon returning from his epic walk, he (along with three others) founded and set up the Cure Parkinson’s Trust. It is pretty safe to say that beyond Michael J Fox and Muhammad Ali, Tom was one of the most impactful members of the Parkinson’s community on marshaling scientific research efforts to find a cure for Parkinson’s. His passing last year was a terrible loss to the community, and this month, the European Journal of Neuroscience has a special tribute edition dedicated to the memory of Tom. One of the research reports in that issue involves a study that was very close to Tom’s heart: The Exenatide study. And the report provides some very interesting new results based on re-analysis of the results of the clinical study. What does the new report say?